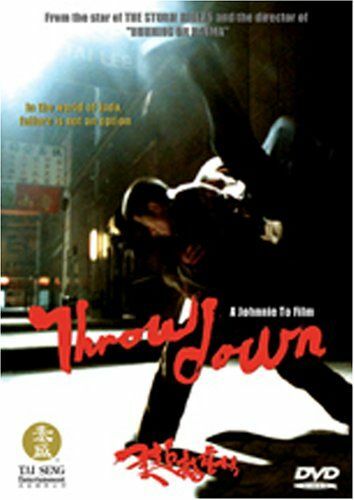 In the vast filmography of Johnnie To, “Throw Down” is one of the films that definitely stands out, both for its style, but also for its significance, since To considers it one of his most personal works, particularly due to the tribute elements to “Sanshiro Sugata” and Akira Kurosawa it offers, and also for kickstarting his collaboration with Louis Koo, which would benefit both notably in the next years. The script revolves mainly around Sze-to Bo, a nightclub owner who was a judo expert but for reasons unknown decided to give up the sport some years before, instead becoming a bitter alcoholic, a thief and a gambler with a huge dept to the mafia. Tony is a current judo champion and a very eager fighter, who wants to challenge Sze-to to a fight, thus barging into his life in the most violent fashion. Mona is a girl from Taiwan who dreams of becoming a singer but was nearly forced to prostitution by her previous manager. The three individuals soon become a trio for no particular reason, while a number of other characters, most of them judo practitioners who constantly challenge each other, interact with them. Brother Savage, a triad boss that the trio steal from, Master Cheng, Sze-to’s teacher who wants him to enter an upcoming tournament to restore his dojo’s fame, and Lee Ah-kong, the current number one in Judo, who still holds a grudge because Sze-to disappeared before their fight some years ago. Eventually, the reasons behind the protagonist’s retirement are revealed, and the film takes a whole new direction. Let me start with the two most obvious aspects of the movie. Despite some “winks” to “Sanshiro Sugata” (Master Cheng’s demented son always introduces himself by saying, ” I will be Sanshiro Sugata, you will be Higaki”, maybe the intro and the final fight scene) the film has very little to do with Kurosawa’s debut. Secondly, the this is a really weird movie, even for a HK action one, with the illogicality usually associated with the category reaching new levels, as the script in essence forbids any “Why?” questions. These aspects however, do not mean that “Throwdown” is a bad film, but exactly the opposite, since To has managed to combine a number of additional, quite diverse elements (fighting, ironic humor, noir aesthetics) in an impressive fashion, resulting in a truly entertaining, and in essence, great movie. Even its fractured style, since the narrative is mostly the sum of episodes rather than a compact movie, seems to work in its favor, highlighting in that fashion, To’s great directorial abilities. Regarding the three aforementioned elements, the fighting is the one that gives the film its astonishing rhythm, as Yeun Bun’s choreographies are as close to a violent dance as we have ever seen on screen, with the motif of the dislocated hand also touching the element of humor. And talking about humor, this aspect follows exactly the quirky aesthetics that permeate the movie, through the fact that almost every character in the movie seems to know judo, Master Cheng’s son, and David Richardson’s fast and abrupt cuts, with his editing also implementing the aforementioned rhythm. The noir aesthetics derive mostly from the night club and the fact that a number of the characters are shady to say the least, with Siu Keung Cheng’s cinematography implementing this aspect in great fashion. The acting is also on a very high level, with To presenting his protagonists in a fashion that could be described as “cool caricatures”. Aaron Kwok as Tony and Cheung Siu-fai as Brother Savage are the ones the embody this characteristic the most, while Tony Leung Ka-fai as Lee Ah-kong is probably the coolest character in the film. Cherrie Ying as Mona is also very good in the sole female/not judo proficient part in the movie, with her acting raising her character much above the usual “damsel in distress” archetype. The one who steals the show, though, is Louis Koo as Sze-to Bo, with him presenting the persona of the former winner/current loser in impressive fashion, in a role that reminded me of why he became a superstar to begin with. 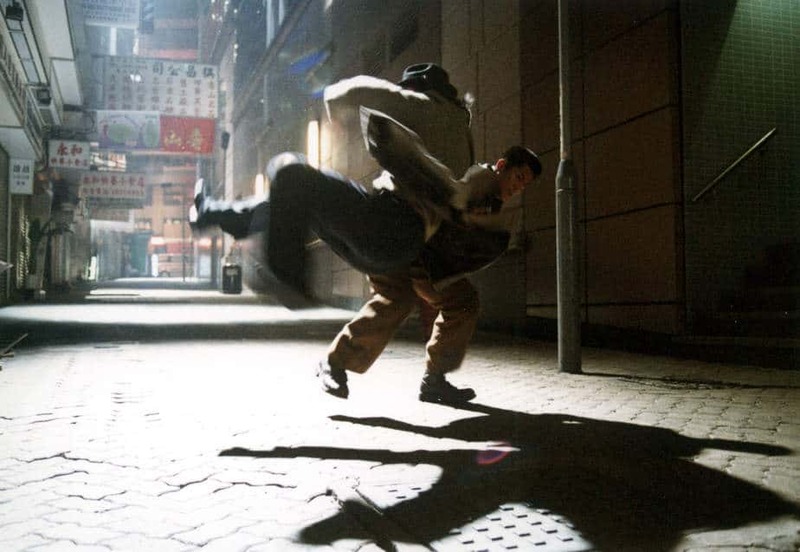 Not much more to say “Throw Down” is one of Johnnie To’s best films, and that says a lot by itself when we are talking about a director who has shot 70 films.